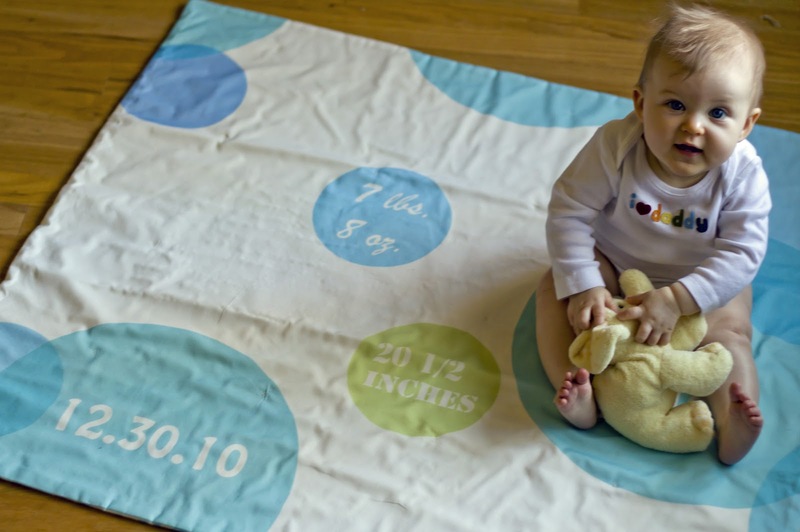 This is my new favorite gift for babies – a travel/play mat that’s customized with baby’s name, birth date, weight, height and whatever else you want to include. 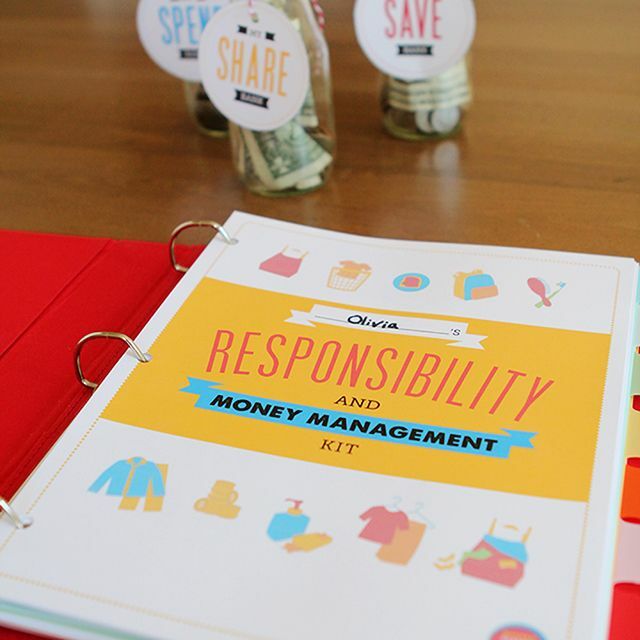 It’s a great keepsake and is actually useful. Plus, it looks fancy but is truly a beginner level sewing project. Be careful though, designing your own fabric can be addicting! 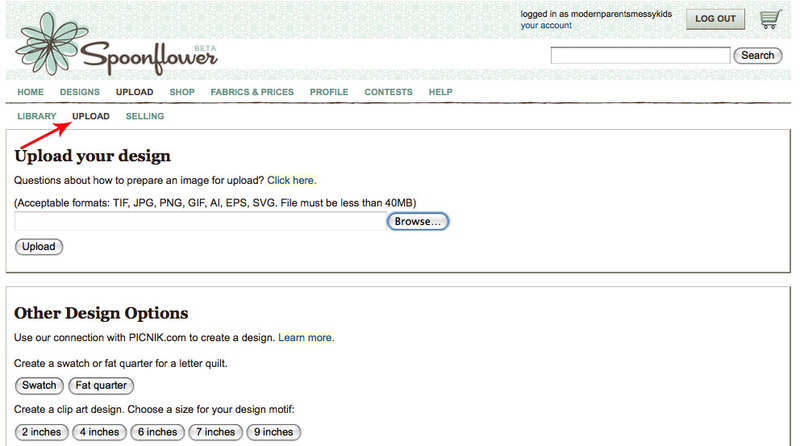 If you haven’t heard of it, Spoonflower is a great little website that lets anyone become a textile designer. 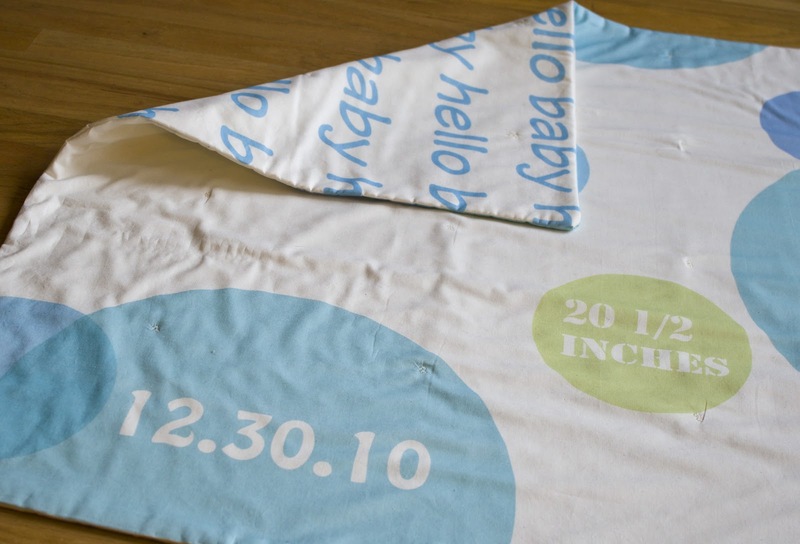 I used it to design two fabrics for this project – one that says “hello baby boy” and one that includes all the stats of my friend’s son. 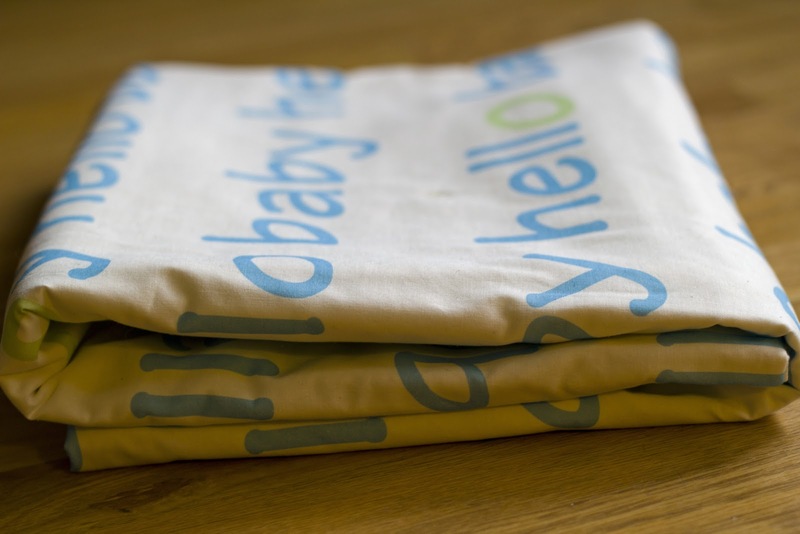 This is the first time I’ve used Spoonflower and I found it incredibly simple to navigate. (Also, I have to say their customer service was excellent. I emailed them when my fabric failed to arrive and they promptly Fed-Exed me a new shipment, free of charge… turned out the mailman put the first package in my neighbor’s mailbox, doh!) Click through for the full tutorial. To create my fabric design, I used Photoshop Elements 9. If you don’t have Elements, no worries, you can download a free 30 day trial here and I’ll walk you through exactly how to use it to make this play mat. 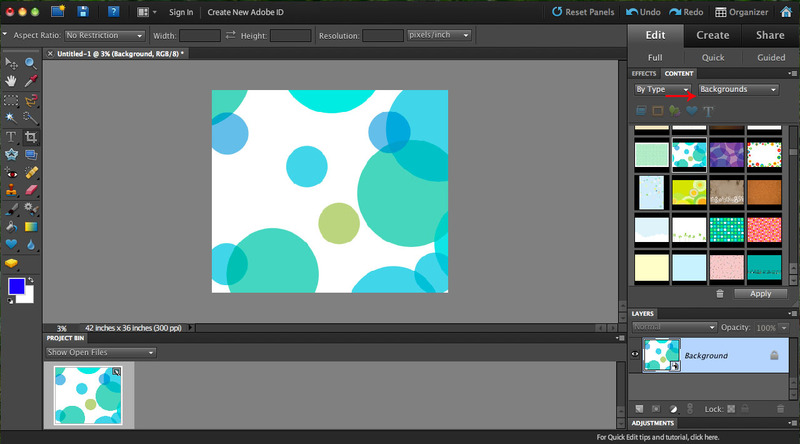 Another option is to use Spoonflower’s connection with picknik. You should be able to create the same types of graphics, especially with the help of this picknik tutorial from The Mother Huddle. Ready to get started? I’m going to go through EVERY small step because I like things laid out for me very specifically (it’s not a reflection of what I think of you, my lovely reader). Click through for the full tutorial. 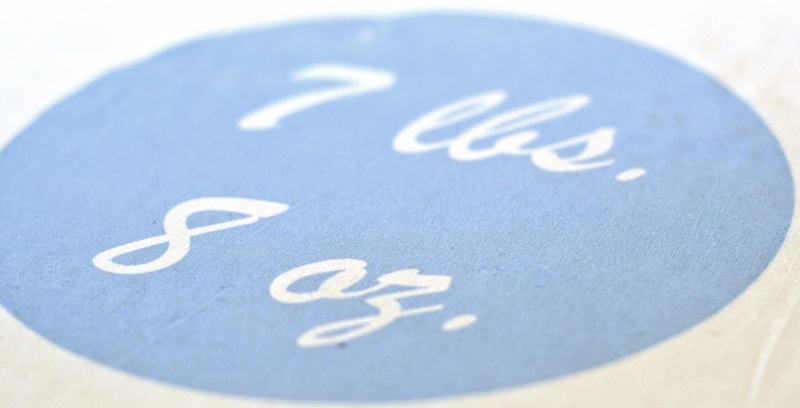 Step 1: Open a new file and specify the size you want. 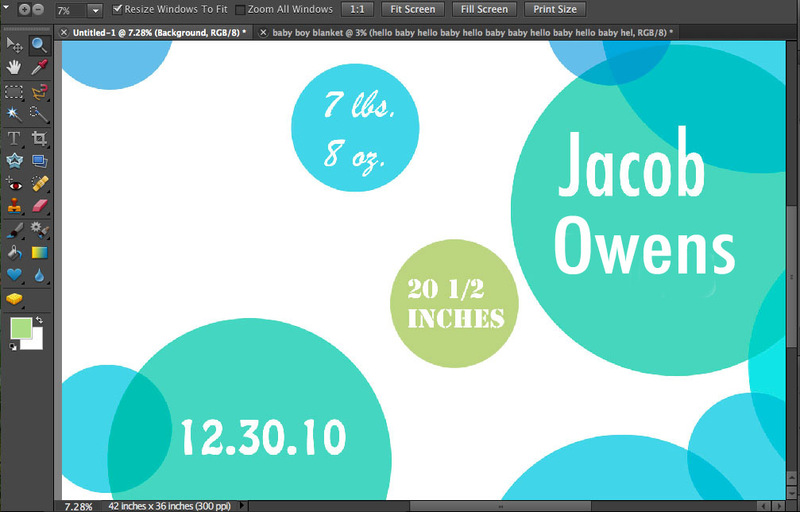 I chose 42″ x 36″ because that’s the printing area for 1 yard on Spoonflower. Step 2: Select a background, these can be found under the “content tab” in the right sidebar. This one worked really well for filling in everything I wanted to include. Step 3: Use the “add horizontal type” button (looks like a “T”) on the left panel of the screen to add text boxes onto the background. You can adjust the font, size, and color with the buttons on the top of the screen. I used several different fonts to create the above image. Step 4: Save the file in jpeg format. Now we’ll pretty much repeat this process to make the pattern for the back of the mat. Of course, you can always just use a store bought fabric for the back or you can get the exact fabric that I designed here. Step 1: Open another new 42″ x 36″ file. 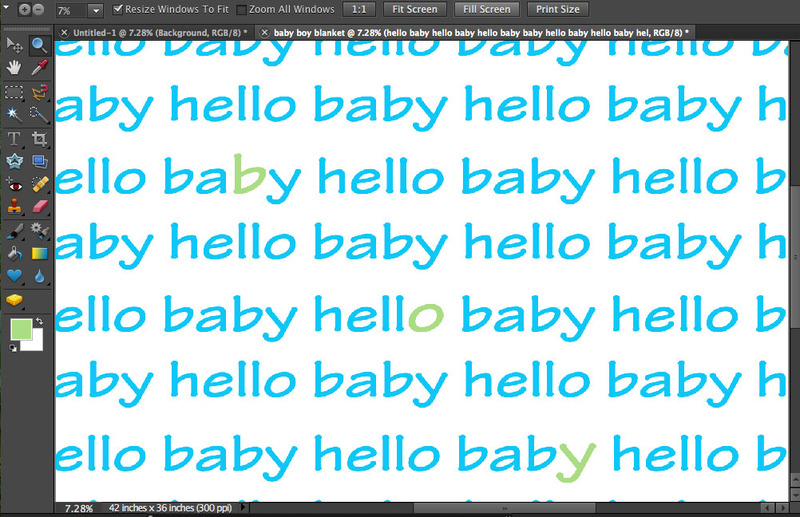 Step 2: Add a text box that’s as large as your square and type the words “hello baby” over and over (I know this is the low-tech way to do this but I found it to be pretty fast and easy). 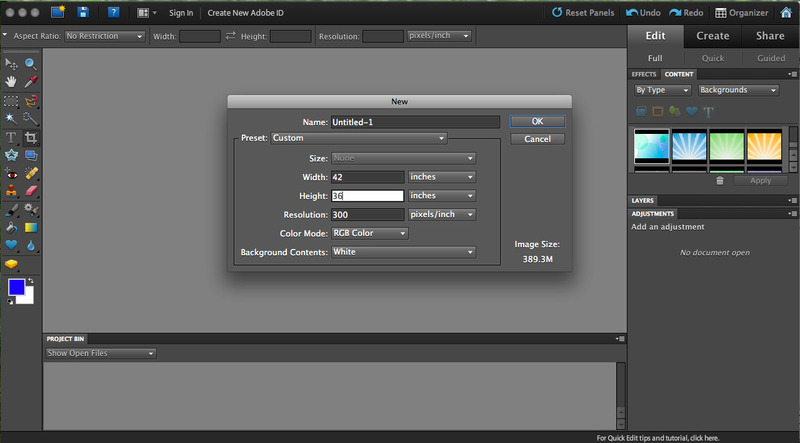 Step 3: Use the toolbar on the top to play around with font, size, and color until you’re happy. You can also click and drag the whole picture so that the words run off the page if you don’t want any white borders. Step 4: Individually highlight each letter to spell out the word “boy” and change their color. I just spelled “boy” once in my design but you can do it as many times as you like. Step 5: Save as a jpeg file once again. 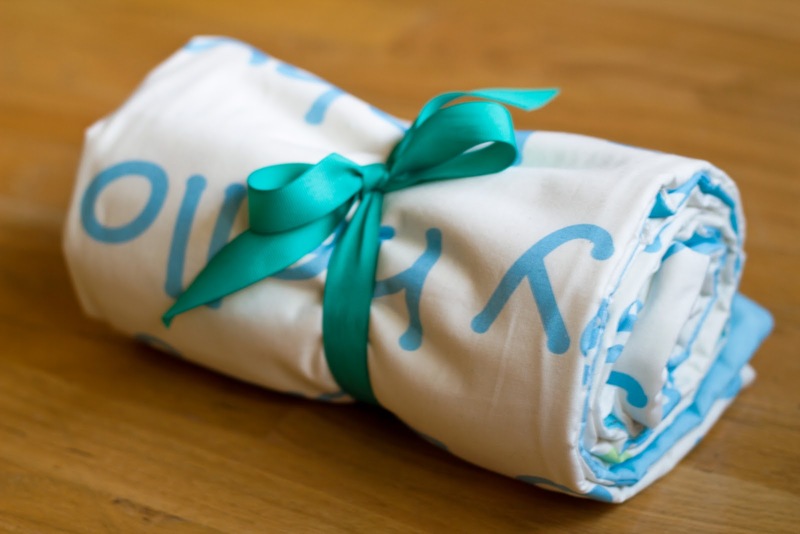 Now it’s time to open Spoonflower and make our custom fabric. 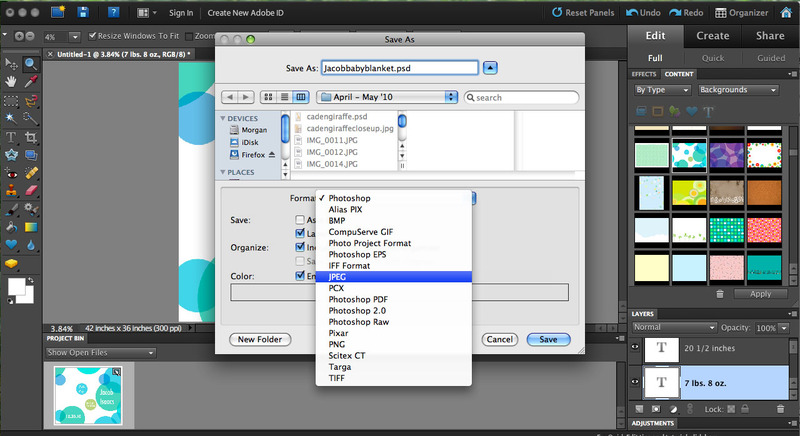 Step 2: Upload the files you created in Photoshop by clicking on the “create” tab up top, followed by the “upload” tab below that. 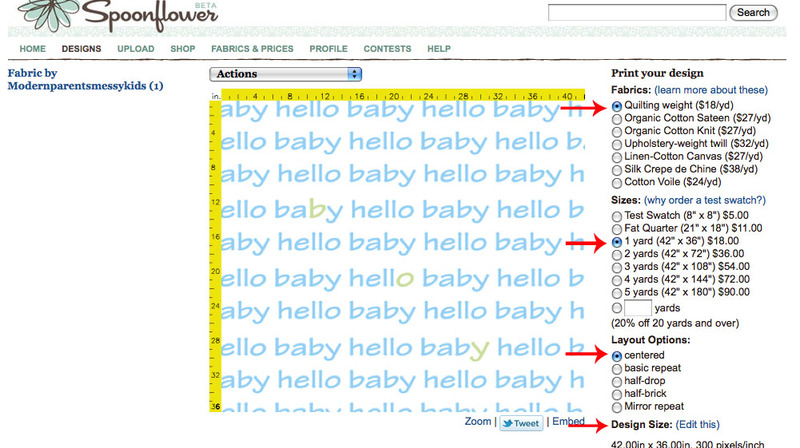 Step 3: Once your files are uploaded, select the fabric and size you want in the right column. I used 1 yard of quilting weight fabric. I was inspired by this tutorial from The Purl Bee, so I don’t mind that the material on my mat gets a little wrinkly. 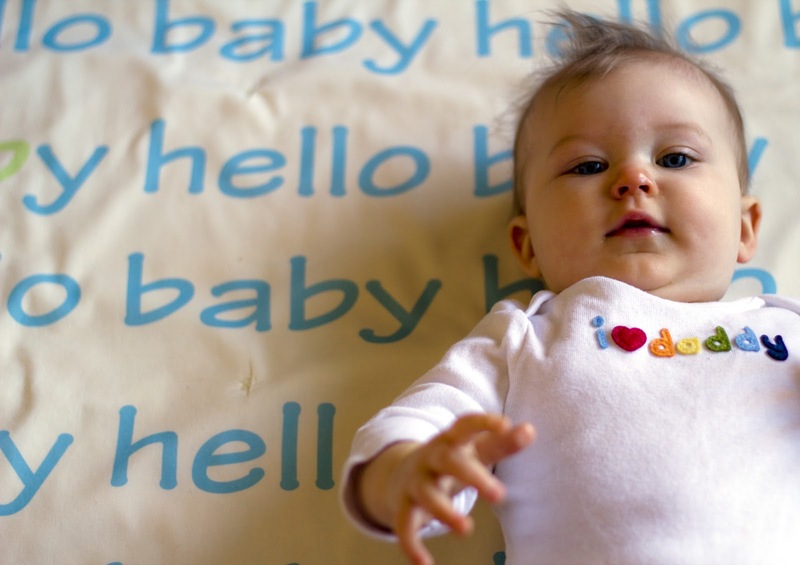 If you have more “Type A” tendencies then you might want to consider a different fabric. Step 4: You can re-size your files as needed using the Design Size “Edit this” button on the bottom right of the screen (but you shouldn’t need to if you set up the file size as instructed in step 1 of working with Photoshop). Step 5: Go to your cart and check out! Now comes the hard part – waiting for your fabric to arrive. While you’re twiddling your thumbs, go to the fabric store and buy some batting for the middle layer. What type of batting is up to you. I went with a thinner, 50% rayon from bamboo / 50% organic cotton blend. My friend has carpet so she doesn’t need a lot of padding and the thinner batting made it easier to sew. 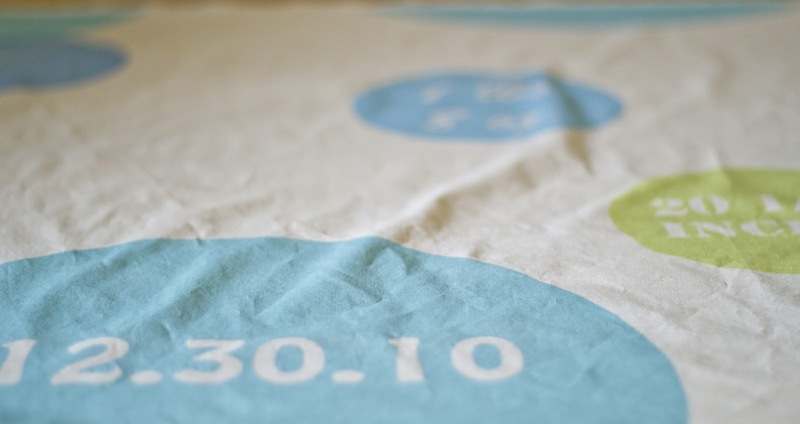 Obviously you want to buy a piece as large as the fabric you ordered and you also want to pay attention to the “quilting distance” printed on the front. Mine was 8″ (that will come into play a little later). Once my fabric arrived, I felt two things: 1) total excitement over how good it looked and 2) total anxiety that I didn’t have any extra fabric to allow room for error. 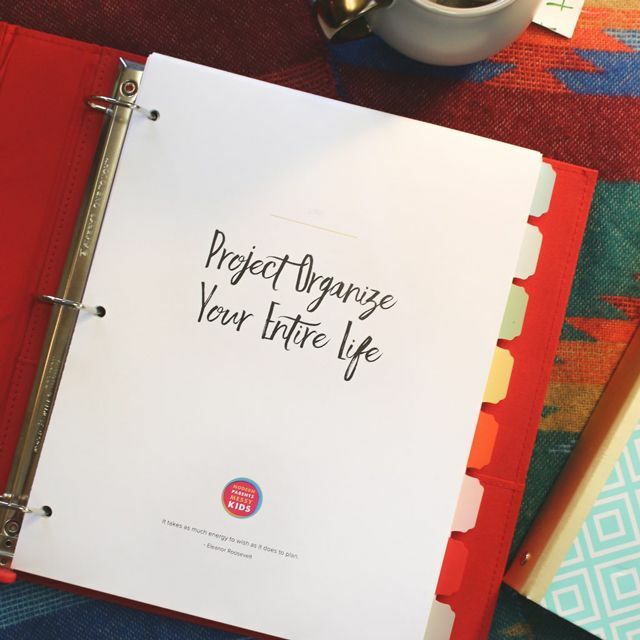 If you should also experience the latter – rest assured that this project is pretty fool-proof, take a deep breath, and let’s get to sewing. Step 1: Do your sewing due diligence and wash and press your materials. Step 2: Create a classic quilt sandwich by laying out the batting, followed by one fabric face up and the other fabric face down. 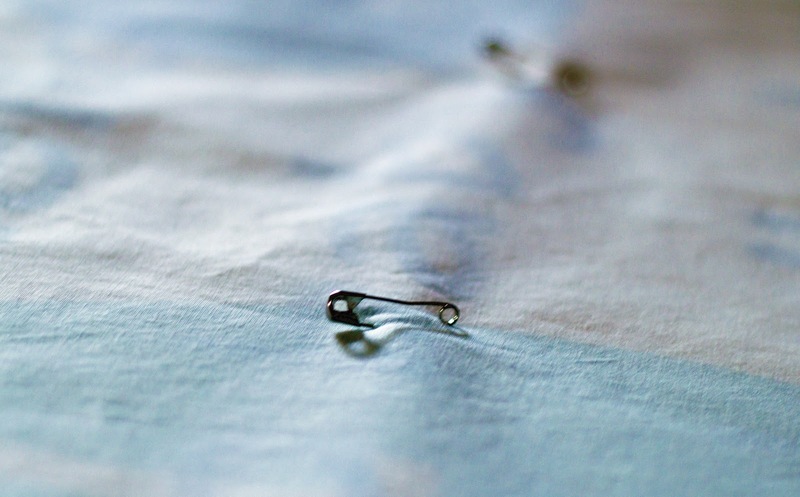 Next, use bent quilting-style safety pins to secure all three layers and to prevent the batting from shifting while you sew. After smoothing the quilt sandwich out, I began in the middle and pinned a grid with pins 8″ – 10″ apart. Lastly, I pinned around the edges with straight pins. Step 4: Turn the mat right side out by pulling it through the opening that you left. 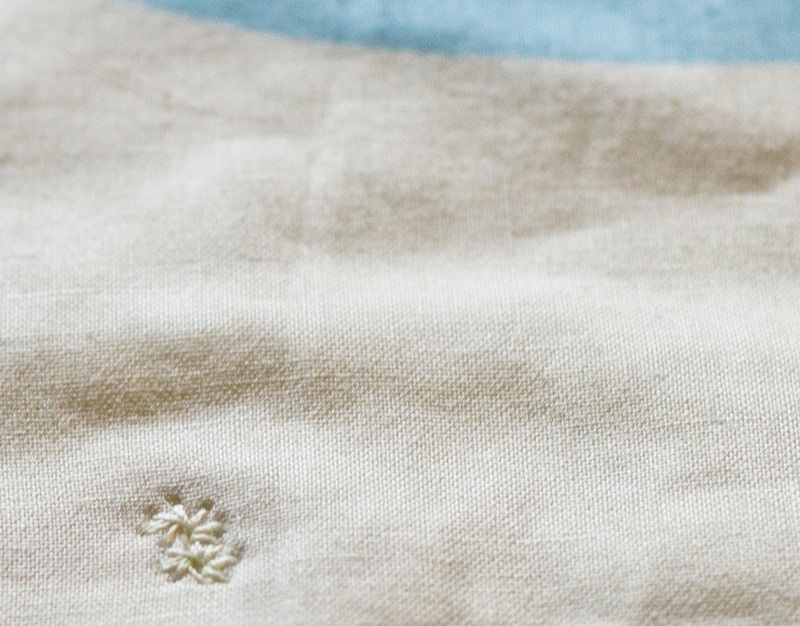 Iron your mat and close up the opening by hand with a blind stitch. 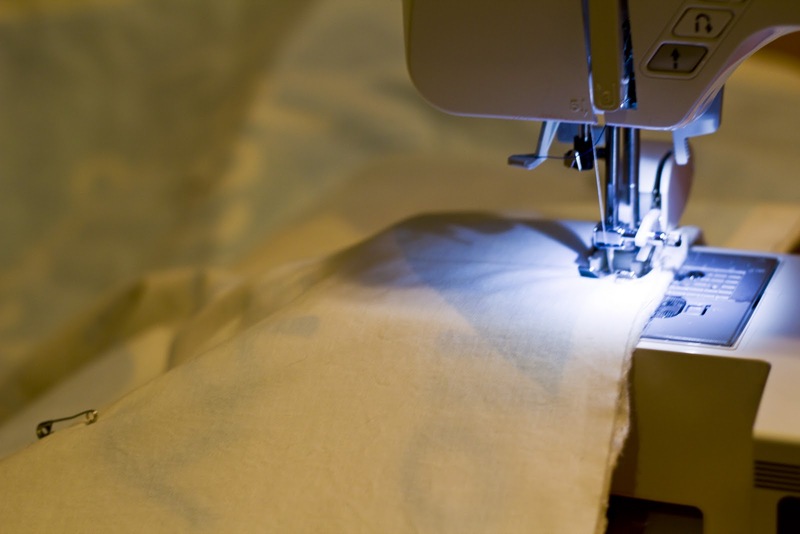 If you need help, see this handy tutorial from oliver + s (another excellent sewing blog that also happens to be the first guest blogger over at Celebrate the Boy). Step 5: Quilt together your 3 layers. This is where that 8″ of quilting distance comes into play. In order to keep the batting from bunching and slipping, you need to put some sort of stitch at least every 8″. There are lots of different ways to do this. For this mat I wanted the stitching to be as minimal as possible so it wouldn’t distract from the words. I was inspired by these West Elm quilts but decided to use one of my sewing machine’s simple decorative stitches instead of the longer bar tack stitch. This is the first time I’ve used any of my machine’s decorative stitches and it was surprisingly simple once I consulted my manual. Just be aware that many decorative stitches aren’t so decorative on the back. Practice on scrap first and flip it over to be sure of what you’ll be getting on both sides of the mat. If that’s a little fancier than you want to go (or you don’t have a machine that will let you go there) see this tutorial on how to use a basic machine stitch or hand tied knots for your 8 inch grid. That’s it! Just add a baby and you’re good to go. 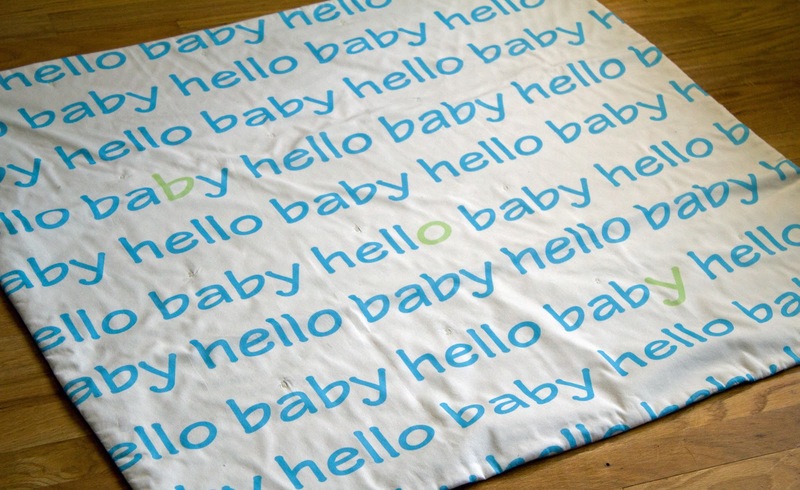 This mat was made in honor of baby Jacob and Celebrate the Boy but there are endless possibilities here. If you decide to try it please send me some pictures, I’d love to see what you come up with. Thanks again to Dana over at MADE for having me and for all of her readers who are stopping by. Feel free to have a look around, pull up a chair, and stay awhile. If you’ve stuck with me all the way through this tutorial then we’ll be old friends in no time, I’m sure of it.